As a kid, I was moved quite often from town to town as my dad was transferred or promoted (he was a bank manager). My parents and extended family are from the Lismore area in northern New South Wales, and I live in that region now, but it’s not where I call home. I spent most of my high school years in Scone in the Hunter Valley and that’s usually where I tell people I ‘grew up.’ I guess it had a permanence the towns before it lacked because I actually finished school in Scone (my dad was transferred again during my final year, but gave me the choice to stay or follow). I liked Scone, but never felt I truly belonged there either. It’s surrounded by horse studs and is known as the ‘horse capital of Australia.’ I was a townie who didn’t own horses. I’m not even sure I would know how to ride one now. After I left Scone for uni I eventually ran out of reasons to return. I hadn’t been back for more than a decade, so when an opportunity came up to speak at the local writers’ festival** I thought it would be a bit of a novelty to revisit my teenage stomping ground. It had changed a lot – more shops, cafes and traffic lights. Yet it seemed so much smaller than I remember (I think that’s a pretty common reaction when you go back to a place where you physically used to be smaller). And I was worried I would feel completely out of place when I caught up with some old school friends for dinner… but I didn’t at all. SO much had gone on in all of our lives, with so many years passed, but it was as though we were still 16. We had such a great night filled with non-stop chatter and laughter, I felt as though I did belong there… maybe Scone was home after all. By Day Four of being away from my children and the ocean, I was ready to leave the nostalgia behind. 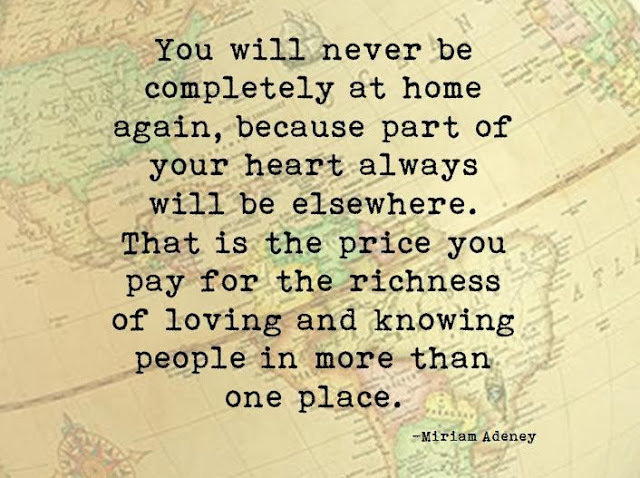 I don’t know if I’ll ever feel completely at home, and that’s OK.
Or, maybe, I can make anywhere home. ** The Scone Literary Long Weekend was a wonderful event. It was held in a beautiful hall (the School of Arts) and I spoke alongside some extremely talented authors including Graeme Simsion (The Rosie Project), Anne Buist (Medea’s Curse), Kaz Delaney (author of many books including YA novel Dead, Actually), and Ged Gillmore (children’s and crime author who is experiencing great success in self-publishing). The festival is only in its second year, but I look forward to watching it grow in the future and attending again!